Ann Arbor water treatment plant manager Brian Steglitz stands next to one of 26 carbon filters. PFAS chemicals foam in the churning waters of a dam on the Rogue River in Rockford, Michigan. The state has finished testing all the public water systems in Michigan for PFAS chemicals. Of more than a thousand municipal systems, 119 are contaminated by PFAS. So local water departments have had to figure out how to reduce PFAS in their water. "You are standing in the filter gallery. This is one of the last steps in the treatment process and this happens to be the one where we're focusing on the PFAS removal portion of the treatment," said Brian Steglitz, manager of Ann Arbor's water treatment plant. We’re looking at a series of pools, like small swimming pools. Water flows down through a nearly two foot layer of carbon and then six inches of sand on the bottom of the pool. Steglitz says Ann Arbor was fortunate because it already has these granular activated carbon filters. They can capture the two most common PFAS chemicals, PFOA and PFOS. “Grains of carbon have all kinds of nooks and crannies like an English muffin and all of that surface area can be used for particles to adhere to. So, it sticks to the carbon,” he explained. The carbon filters don’t trap every trace of the chemicals, but they do reduce it to levels believed to be safe. But some water treatment plants clean up their water differently. Not all of them use granular activated carbon. "If you're a utility that doesn't have that capability then you're going to have to make some capital investment," Steglitz said. Most likely that means building a facility with carbon filters. 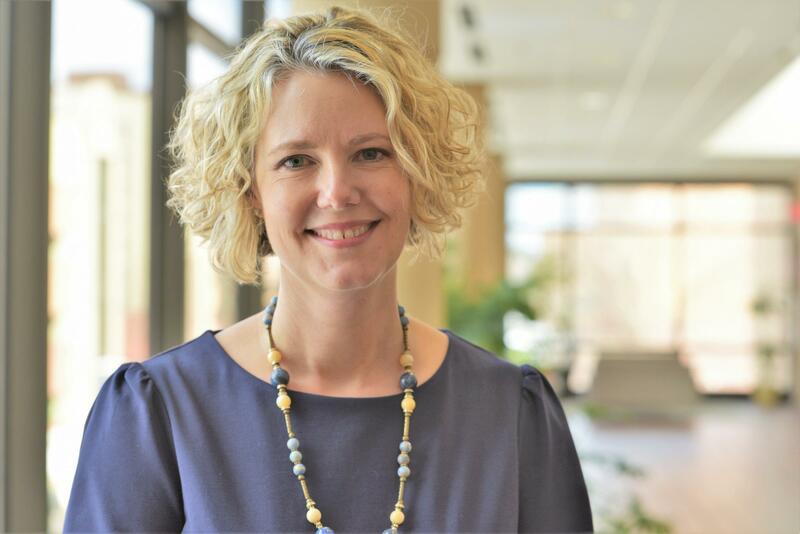 Liesl Clark is the new Director of the Department of Environmental Quality. This week the Department of Environmental Quality released a final report on all public water systems, including those at schools, and other small systems. "We have tested all of the eleven thousand public drinking water systems in the state. Right? So, we've got a clarity there. We're still looking through technical solutions and then obviously the money is part of it too," said Liesl Clark, the agency's director. The money can be a lot. One municipal water plant spent $1.5 million for an upgrade. Director Clark says water systems and the state are still working to find the best ways to get rid of PFAS. "So, how do we fit all those pieces together to really make sure that we've gotten the cleanest possible water we can get to people, the best possible water quality? And we're trying. We're struggling with that at the same time as you know the communities are. So, we're trying to work on that together," Clark said. Ann Arbor water treatment plant manager, Brian Stigletz, explains the different sources of water going into the facility. 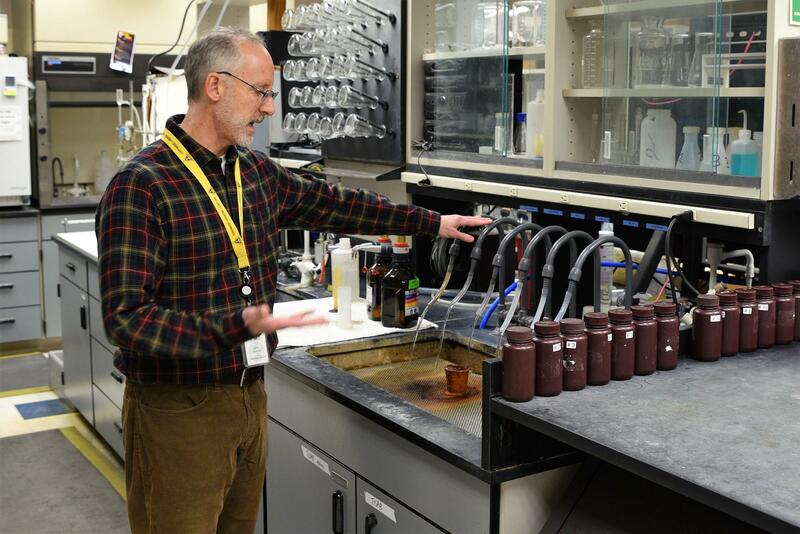 Back at the Ann Arbor water plant, the manager, Brian Steglitz says while they’re getting the bulk of the two most common PFAS chemicals, they’re still fine tuning the process. The carbon being used has a limited capacity. "We're changing our Carbon Media to a different type of media that is more effective at removing PFAS. So we're in the process of doing that and we've done 10 of our 26 filters. We're going to be doing the balance. So we've already had money appropriated by city council to do that and we're going to be doing that over the next three to four months," Steglitz explained. Even with that, Steglitz says they might find they have to swap out the carbon more often to keep PFAS levels low. PFAS has been around for decades and we’ve only fairly recently discovered it in water sources. What’s really concerning is: once water systems have reduced PFAS chemicals, what’s the next contaminant we’re going to find? "We're going to find more things as technology develops. And the challenge is, you know, we're going to adapt. But you know adapting infrastructure doesn't happen that rapidly. So there is a time lag. And right now with the PFAS we're learning and we're implementing what we think is the right thing to address these chemicals but we may learn new things in the future. And again we'll have to adapt," Stigletz said. There are thousands of other PFAS chemicals besides the two being measured. We know even less about whether they’re a health threat. And we don’t know whether conventional means such as carbon filters will be able to capture those chemicals.